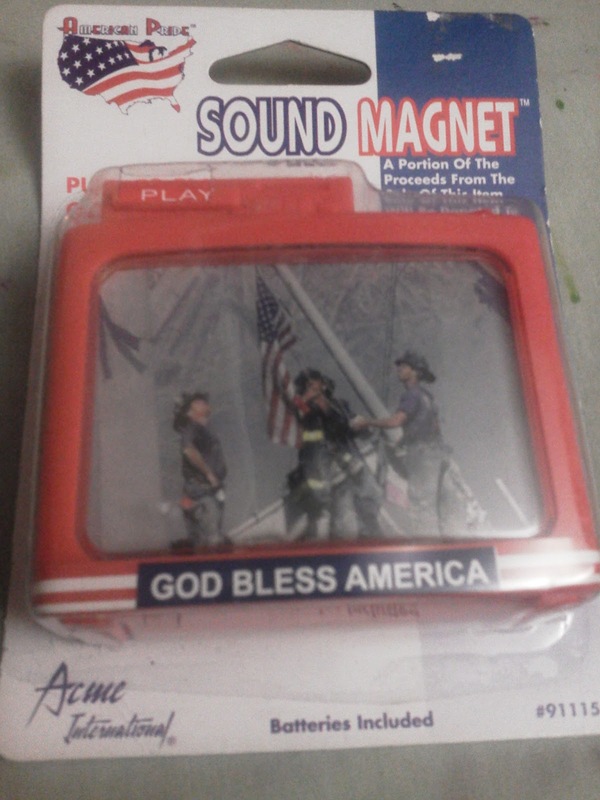 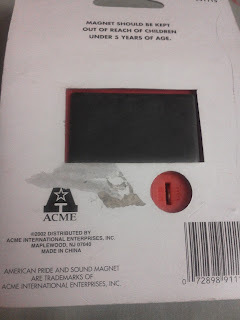 ACME Sound Magnet featuring 9/11 tribute with firefighters raising flag at WTC site. 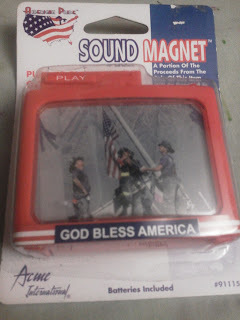 Magnet plays God Bless America. 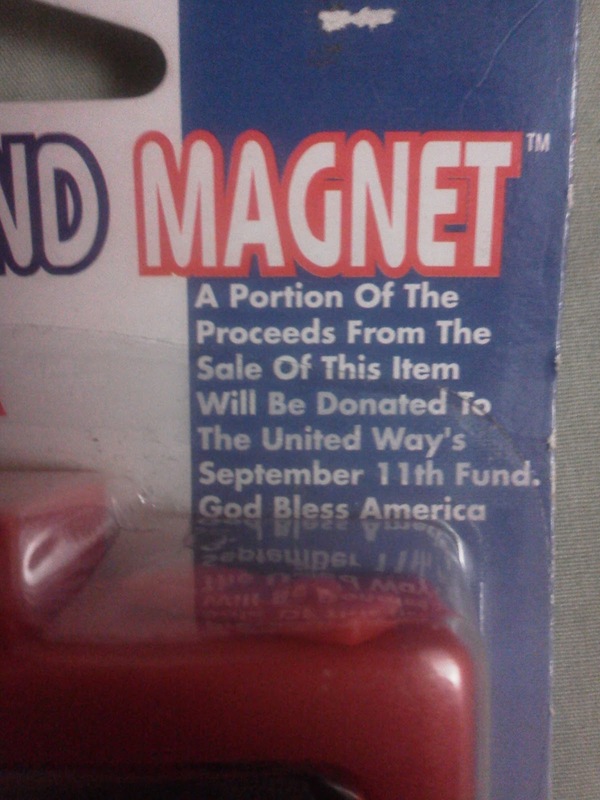 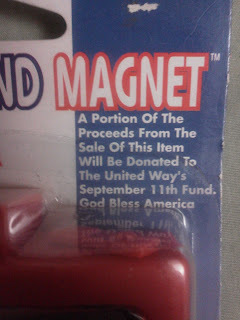 A portion of the proceeds from the sale were donation to United Way's September 11th Fund.